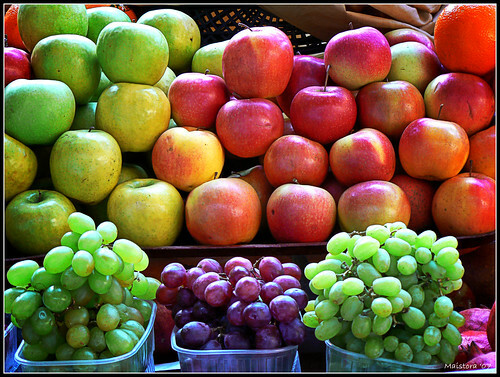 When you make the decision to begin living healthier, first start focusing on what types of foods you will be eating. We all know that it is very important to eat fresh fruits and vegetables, but did you know that many of of these foods are also high in fiber and fiber helps you feel fuller longer? Whole grains, lean meats, legumes, low-fat dairy products are also items I made sure to include in my daily diet. One secret to my long-term weight loss was to allow myself small portions of items I craved on occasion so I wouldn’t feel deprived of a favorite food. This worked great for me because I was able to still lose my excess weight even though I still visited fast food restaurants once in a while, and also allowed myself cake and ice cream at all birthday parties… I simply focused on keeping portion sizes under control. My mantra is, “One bite tastes the same as twenty.” I learned to eat like a thin & health person eats. Don’t skip meals, especially breakfast! It doesn’t work for weight loss, believe me. Three meals a day along with small, healthy snacks between mealtimes worked great for me as long as I kept my total calorie consumption to approximately 1,200 calories per day. Do your best to limit or completely eliminate processed foods because they are often loaded with hidden FAT, CALORIES, and SALT! I realize that these processed foods are convenient but they can also pack on the pounds. A slow cooker works great for people who want a meal ready when they walk in the door at the end of the workday. A few skinless chicken breasts, onions, potatoes, carrots and a few cups of water placed in a slow cooker and allowed to cook for 6-9 hours is one of the simplest and satisfying meals for our family. Get enough sleep! When you don’t get enough rest, you feel that you must eat more to feel energized. Plus, if you aren’t getting enough sleep you tend to lose mental focus and feel fatigued. This can result in less productive days at work. Try to get seven hours of sleep nightly—and “power nap” on days that you can’t. Remember that sleep deprivation is associated with increased obesity risks in adults AND children—so please put “junior” to bed at a reasonable time. You have to admit that when you’re always telling yourself “I can’t do this,” then you won’t! If you begin to feel as though you can’t succeed, STOP that thought immediately. I am here to tell you that YOU CAN SUCCEED, and you will! And last, but certainly not least: walk each day at a brisk non-stop, brisk pace for at least 22 minutes, or chose another physical activity that you you can do every day and enjoy. Please don’t allow an excuse to prevent you from exercising. WALKING DAILY was the key factor to my 162-pound weight-loss success. NO EXCUSES – make it your motto just as I made it mine. Don’t overwhelm yourself with too many changes all at once. Take it one day at a time, do your best, and remember that the main goal is to LIVE A HEALTHIER LIFE! You’ve already taken the first step by visiting me here… this is where your journey begins – have a HAPPY & HEALTHY JOURNEY and remember to enjoy it!